At PLATFORM, we have previously relied on a traditional form of marketing. We hired some of the leading local agencies, and the results were extremely ineffective. Few years ago, banners were skyrocketing and they were generating incredible amounts of clicks. A couple years later, people have developed banner blindness and they subconsciously ignore all the banners on the websites. Later, social media became a valuable marketing resource and with it sponsored posts (which are now also being partially ignored) opened up new opportunities. 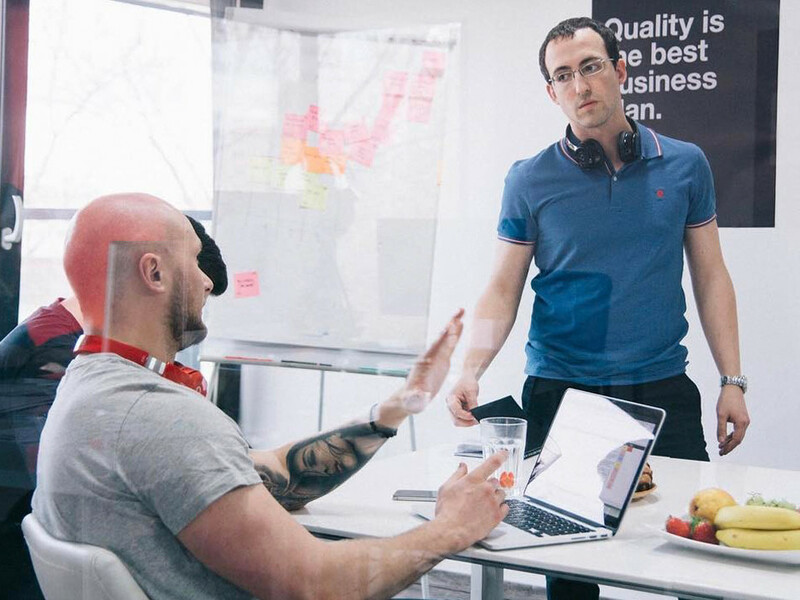 Over time, we have decided to give up on traditional marketing strategies and instead used our entrepreneurial skills combined with our highly skilled development team to promote our services. Engineering as marketing is a new form of marketing, where engineers build a special tool which is used for marketing purposes. Gabriel Weinberg, the author of the book Traction, defines the different functions of engineering as marketing as “useful tools like calculators, widgets, and educational microsites that are used to get the company in front of potential customers. These tools generate leads and expand the customer base”. Each tool then becomes a marketing asset, which creates a return that is often indefinite. The best tools are single-purpose and relatively easy to use tools that solve obvious pain points for the customers. Useful tools generate leads and expand the customer base and they get company in front. It has to be relevant to your business. How do we benefit from engineering as marketing? 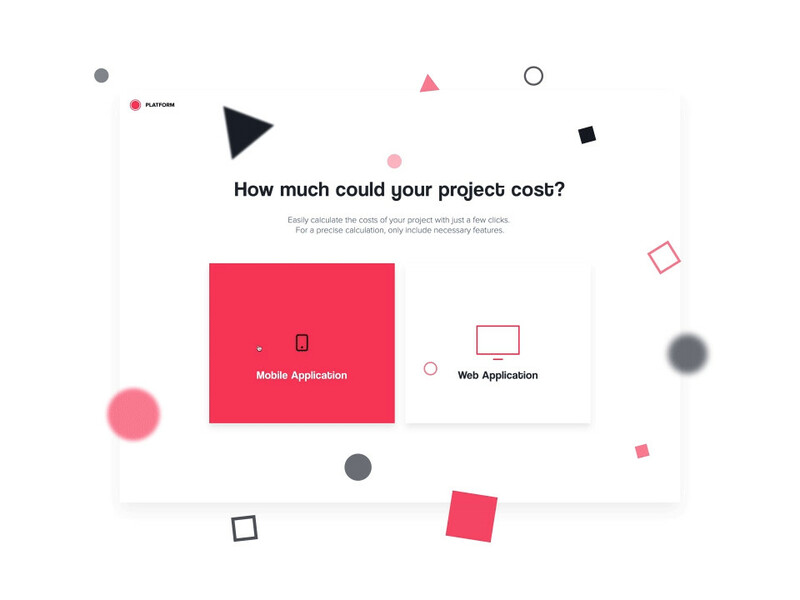 At PLATFORM we have combined the skills of our developers, marketers and entrepreneurs to create a valuable tool for our target audience – a project costs calculator. It is a very useful tool, which will not only calculate the cost of an app, but it will also provide a lot of educational content. It's a free, easy to use and easy to understand tool that will give you a rough idea of your future project costs, breaking it down by the different features your project requires and the associated cost. It is a win-win for both sides. The visitor will find out whether his project is feasible or not, and we will get all the necessary information we need such as details about his project, and most importantly a functional email, which is a high quality lead. One of the greatest benefits of the marketing product developed by engineers is, that it keeps generating leads long after the tool is launched. In contrast, traditional online marketing strategies, sponsored post on social media, TV and radio ads, all stop generating reach/visits/leads right after you stop paying for them. "Want more clicks? Spend more money. Contrast this with the inbound marketing whereby the cost of producing a piece of content is relatively constant. But, if it generates 10x more leads in a month, your marginal cost for those extra leads is almost zero. Furthermore, with advertising (outbound marketing), the traffic you get generally stops when you stop paying. With inbound marketing, even after you stop producing the new content, the old content can still drive ongoing visitors and leads." HubSpot’s founder, Dharmesh Shah in the book Traction. PLATFORM was not the only company that benefited from engineering as marketing. Let's now look at the other examples of how other companies benefited from this new form of marketing. Aforementioned HubSpot is also among them. How does HubSpot benefit from engineering as marketing? Marketing automation software company HubSpot earned millions of dollars in a short period of time. What was their recipes for success? Marketing done by engineers. They developed an extremely useful tool – Marketing Grader. An owner of a website will just fill out the address of his website and it will give him a report about how good his website is at online marketing (SEO, mentions in social media, blog, etc.). 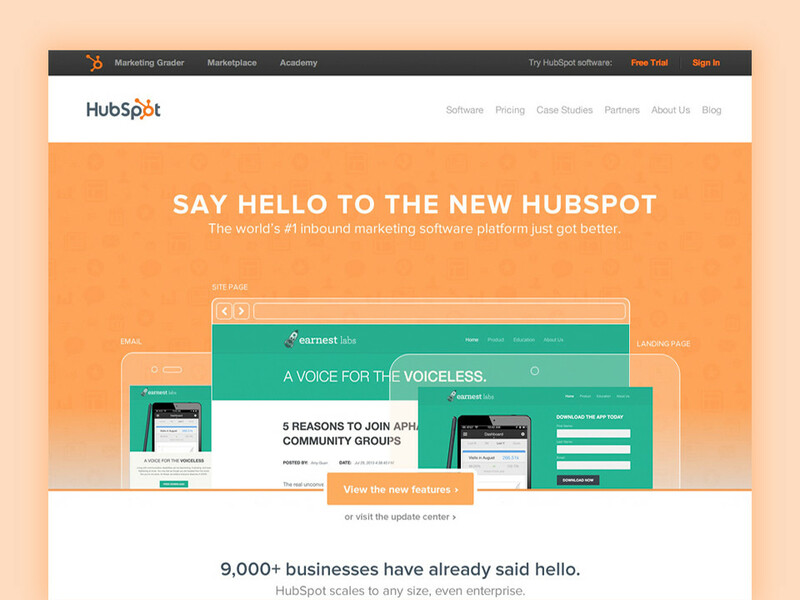 It gives valuable information to the user, but it also provides valuable information to HubSpot. Just by giving away this valuable tool for free, HubSpot acquired an incredible amount of quality leads, which were turned into customers, and earned millions of dollars. HubSpot developed an extremely useful tool – Marketing Grader, which helped them to acquired an incredible amount of quality leads. 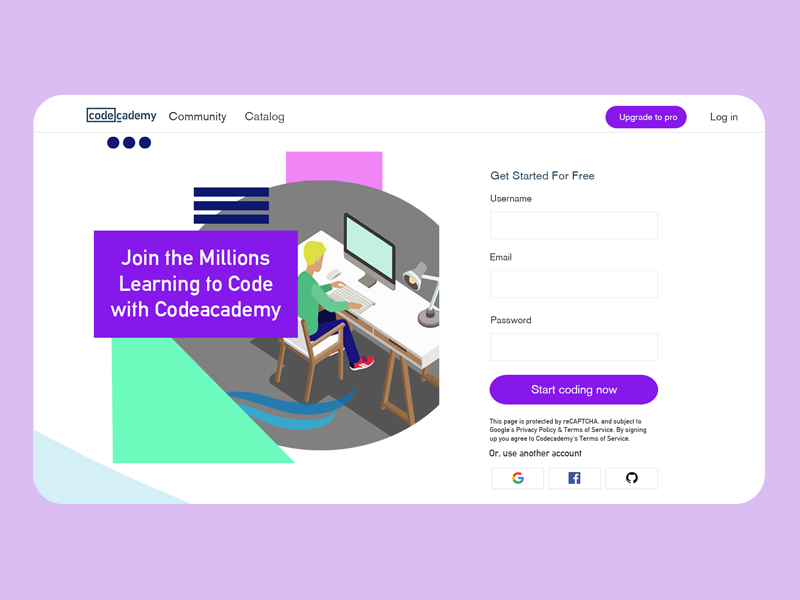 How does CodeAcademy benefit from engineering as marketing? Interactive platform CodeAcademy launched in 2012 a microsite, which has been offering free online coding courses. People will enter their email address and they will receive a free lesson every week. Back in 2012 more than 450,000 people signed up for their free courses. Now, they have over 25 million users, and they have their email address and they know exactly what they want to learn. Engineering as Marketing can be extremely valuable but it's not the easiest form of marketing to implement. The right tool could provide long term ROI to your core product but getting new leads is just the beginning. The next hurdle to overcome is to automate and optimize the next steps so that you can use all of the hundreds or thousands of leads effectively and efficiently and transform them into customers. In the end, engineering as marketing may not work for every organization, but if there is a tool you can create that could serve this purpose, don't miss your opportunity.